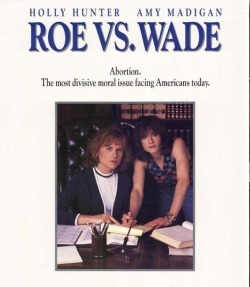 Roe Vs. Wade could have been so much better. It's OK, but the script needed work. Holly Hunter plays Ellen. She gets pregnant and wants to have an abortion. There's a problem though: in Texas, abortion is illegal. 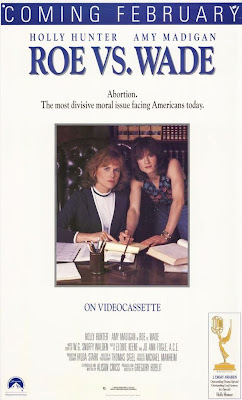 Ellen is desperate and then she finds out about Sarah Weddington's (Madigan) plans to challenge the law. Terry O'Quinn is the other lawyer opposing her, but he has his own feelings.